Sinus tarsi syndrome (STS) is a clinical condition characterized by ongoing pain in the anterior (front) lateral (side aspect) of the ankle—between the ankle and the heel—which is usually a result of traumatic injuries. The most common cause of sinus tarsi syndrome is thought to be a result of chronic or long-term ankle sprains. According to Podiatry Today, “The sinus tarsi is an anatomical depression on the outside aspect of the foot that is filled with soft tissue structures: ligaments, muscle, nerves, blood vessels, and fat.” The pain resulting from sinus tarsi syndrome may be from injury to the ligaments, and instability of the joint, Podiatry Today goes on to explain. The condition itself is considered a syndrome; a syndrome is defined as a group of symptoms which occur together, or a condition that is characterized by a group of associated symptoms. The condition was first diagnosed in 1957 by Denis O’Connor, who also suggested a surgical procedure called the O’Connor procedure as the primary treatment for STS. The surgical procedure to correct STS involved removal of part or all the contents of the sinus tarsi—including the soft tissue structures. Note that pronation of the foot is a natural movement that occurs when the foot lands during running or walking. However, when a person overpronates the foot, it can cause pressure on the sinus tarsi. This can result in sinus tarsi syndrome. The treatment for overpronation involves orthotics (special shoes) that can help control the motion of the foot. According to Podiatry Today, an MRI is the best method of diagnosing sinus tarsi syndrome, because of its ability to effectively exhibit the soft tissue structure. On rare occasion, surgery may be required when conservative treatment measures fail. The surgical procedure may involve open surgery (via a surgical incision) or closed surgery (conducted using arthroscopy). Surgery should generally be chosen only as a last resort when all other non-invasive treatments have failed (such as immobilization, bracing, and more) says AAPSM. Sinus tarsi syndrome (STS) is a condition that is common in those who have had an ankle sprain. 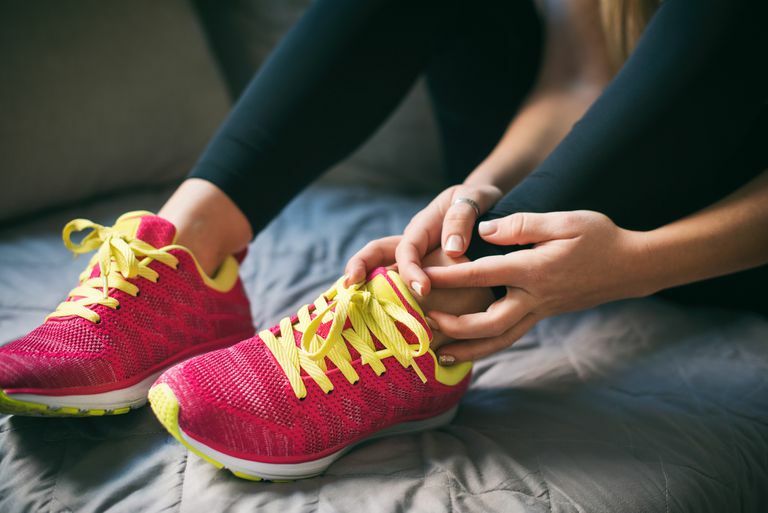 It’s vital that a correct diagnosis is made for STS because the treatment is significantly different than that of other types of foot injuries. Although conservative treatment is often successful, surgical intervention is required in some instances of STS. Surgery should only be considered as the very last resort for treatment of sinus tarsi syndrome after all non-invasive conservative treatment modalities have been adequately pursued. Bouché, R., D.P.M. Sinus Tarsi Syndrome. American Academy of Podiatric Sports Medicine Staff. (AAPSM). Podiatry Today Staff. Keys to Patient Education And Accurate Diagnosis Of Sinus Tarsi Syndrome. Podiatry Today.com.